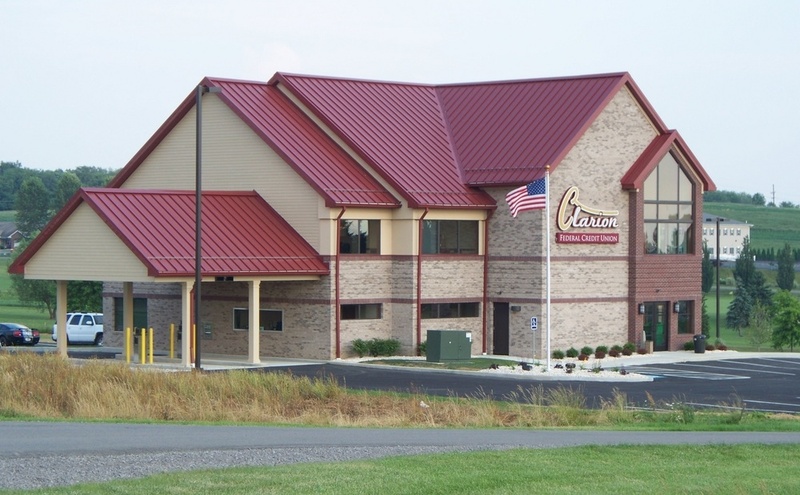 Just prior to a normal recess being called by Judge James Arner at 2:50 p.m., Clarion County District Attorney Mark Aaron insisted on playing the 9-1-1 calls in the case, despite the reluctance of Arner who wanted to start the recess prior to the two 9-1-1 calls being played. The 9-1-1 calls, one from Ditz, 23, and one from Ditz’s cousin Jennifer Graham, were then played for the jury. While the calls were difficult to hear in the courtroom because they were played on a television set facing the jury and away from the patrons, an upset Ditz could be heard saying “She’s not moving” – apparently about Seaburn. The 9-1-1 operator then explains how to try to stop the bleeding, and Ditz can be heard saying that Seaburn was bleeding from her shoulder. Ditz could also be heard saying “What did I do?” on the 9-1-1 call. Midway through the call, a female voice, presumed from earlier testimony to be that of Graham, who had also called 9-1-1 earlier, takes over from Ditz, as it sounded like he was becoming hard to understand as he apparently became more distraught. The 9-1-1 operator then began relaying instructions to Graham to relay to Lacy Strotman (who was Lacy Edwards at the time) on how to perform CPR, and Lacy Strotman can be heard performing CPR on Seaburn. At that time, Lacy Strotman was the girlfriend of Ditz’s cousin Brandon Strotman, who is the brother of Graham. Lacy and Brandon are now married. During the playing of the 9-1-1 call, Ditz, sitting at the defense table with his lawyer Adam Bishop, could be seen crying. Once the recess was called, access to the second-floor men’s room at the Clarion County Courthouse was blocked by a Clarion County Sheriff’s deputy, who told anyone who tried to use the restroom that they would either have to wait or use another one. The sounds of heaving (either dry or wet) could be heard coming from the restroom. When the trial was supposed to resume at 2:55 p.m., the jury was kept out. Bishop was then seen talking to Ditz’s family members. At approximately 3:10 p.m., the bailiff came out and summoned the court stenographer telling her that she was needed in the judge’s chambers. Bishop, Aaron, Arner, and the stenographer were then not seen again until approximately 4:00 p.m.
At that point, the jury was brought back into the courtroom, and Arner addressed the jury telling them that the defendant had “experienced a medical emergency and was not able to continue” on Tuesday. He said the trial was going into recess and would resume at 9:00 a.m. on Wednesday, December 5. The 9-1-1 call confirmed the testimony of both Strotmans and Graham earlier in the day. Brandon Strotman said he was sitting on his loveseat (small couch) in his trailer at a trailer park near Lake Lucy with Graham when the two of them heard a noise. Graham said she wasn’t sure what the noise was, but Brandon Strotman said he thought it was a gunshot. Graham then told Brandon Strotman to get up and investigate the noise. Brandon Strotman said he got up and went to one of the trailer’s windows. Graham said she joined her brother a few seconds later – both of them said they went to the window within seconds of hearing what is now known to be a gunshot – and saw the same thing. At that point, Brandon Strotman went outside to see what happened. Graham said she followed her brother out the door and stumbled and fell. She asked Brandon Strotman what happened. While Graham was calling 9-1-1, so was Ditz. Graham testified that she took the phone from Ditz because he was rambling and not making any sense. Lacy Strotman, who said she was in the bathroom at the time the gun went off and thought she was hearing something hitting up against the trailer, said when she got out to the vehicle, Seaburn was unresponsive. Lacy Strotman said at first she tried to put the car’s passenger seat that Seaburn was occupying back as far as it would go, but it wouldn’t go far enough to lay Seaburn flat. She then said they took Seaburn out of the car and laid her flat on the ground. Strotman, once cross-examined by Bishop, said that Ditz was holding a flannel shirt on Seaburn where she had been shot. Graham testified that once emergency personnel arrived on the scene, she went to check on Ditz, who she found next to a tree. “He was vomiting, pulling grass out, screaming, ‘It should have been me,’” Graham said. Graham said that on the advice of emergency personnel, she helped Ditz into the Strotmans’ trailer and into the bathroom. Shane Smerkar, a member of the Washington Township Volunteer Fire Department, was the first emergency responder on the scene. Smerkar said he took over the CPR and continued it for five minutes before he realized it was useless and that Seaburn had died. Shawn Eggleton, a paramedic, said when he arrived around 5:45 p.m. as part of the ambulance crew coming from Shippenville, he found Seaburn with a wound to the left chest. He said she was declared dead at 5:49 p.m.
Shawn Nicewonger, a Pennsylvania State Police trooper with the Marienville barracks, said when he arrived at the scene, it was a “chaotic scene” with EMS personnel and four or five other people. Nicewonger testified that he didn’t try to interview Ditz at the trailer but instead asked if he was willing to go back to the Marienville barracks with him and another officer, which Ditz agreed to do. “I asked his father (Fred) to follow us up there,” said Nicewonger, who stated that while Ditz was placed in the back seat of the police cruiser, he wasn’t handcuffed. According to Nicewonger, they arrived back at the Marienville police barracks around 7:00 p.m.
Bishop, on cross-examination, asked Nicewonger what Ditz had said on the way back to the police barracks. Did he say – and excuse my language – “What the f*** (full word was used by Bishop) did I do?” and “It should have been me.”? Nicewonger responded in the affirmative. Bishop then questioned if Ditz had been respectful and had never lost his temper when speaking with the officers and that he (Ditz) had always been consistent that it was an accident, and Nicewonger again answered in the affirmative. Aaron then asked Nicewonger if Ditz had not told the truth, and Nicewonger said that was the case. The case being made that Ditz hadn’t told the truth during the March 1, 2017, interview, will, according to Aaron during his opening statement, be proven through two additional interviews state police had with Ditz, including one on May 16, 2017, at Ditz’s residence, and another on June 20, 2017, at the state police barracks. However, neither of those interviews nor the interview held on March 1, 2017, were played during proceedings on Tuesday. Aaron also called Seaburn’s mother, Tammy Seaburn, to testify. Tammy Seaburn said she received a called from Ditz on the night of the shooting. “I didn’t recognize the voice,” said Tammy Seaburn, who said she assumed it was Ditz because it came up on her phone as Ditz. Tammy Seaburn said the call felt like it lasted a lifetime, but it was probably just about a minute or so. Tammy Seaburn testified that a few days after the shooting, on Saturday, March 4, she and her longtime boyfriend, Bill Holt, went to Ditz’s dad’s house to retrieve Katrina’s belongings. Tammy Seaburn said when she and Holt returned to their home, Holt took Katrina’s belongings out of the truck and put them in her room. Tammy Seaburn then said she didn’t look through the belongings until a couple of days after Katrina Seaburn’s funeral. When she finally went through the belongings, she found a “plain, white envelope” with $1,000.00 cash in it. Tammy Seaburn did say she notified Nicewonger about the money. Prior to interviewing Tammy Seaburn, the Strotmans, Graham or Nicewonger, Aaron called DaShon Smerker, a friend of Ditz’s who said he considered Ditz a cousin even though they weren’t blood-related, to the stand. Smerker testified that he had last seen Ditz two days prior to Seaburn dying. “I was with Damien, Katrina, and my ex,” Smerker said. Aaron – who in his opening argument tried to paint the picture that the shooting was over $130.00 of $1,000.00 lent to Ditz by Seaburn to buy a car – asked Smerker if Ditz had lent him money. Smerker testified that Ditz, a couple of weeks earlier, had lent him $130.00 in cash, and Seaburn was not with him at the time. Aaron asked Smerker what he used the money for, and Smerker said he used it to pay rent and purchase other items. On cross-examination from Bishop, Smerker said the reason he asked Ditz for the money was that he knew Ditz had a couple of seasonal jobs. He also told Bishop that when he saw Ditz and Seaburn a couple of days prior to Seaburn’s death, the two of them weren’t arguing and seemed to be getting along fine. Dustin Hoffman, another cousin of Ditz, was called to testify that he owned the gun that killed Seaburn, and he had lent it to Ditz. “I purchased the gun from a trooper who was retiring,” explained Hoffman, who said that the trooper had obtained the weapon, a state police issued gun, through a buyback program the state police have that allows troopers to purchase the gun once it is retired from service. Hoffman said the purchase was made through Route 66 Sporting Goods, where he worked. “I never modified the gun,” Hoffman said when asked by Aaron. Hoffman said he turned the gun over to Ditz probably within two months of Ditz’s 21st birthday, which was in mid-November 2016. He said he gave it to him because Ditz was trying to decide what kind of pistol he wanted to buy. Hoffman testified that he and Ditz shot the gun once after he loaned it to Ditz. Bishop cross-examined Hoffman and asked him if he would consider Ditz an “inexperienced” handgun owner, which Hoffman answered in the affirmative. Bishop, then asked Hoffman if leaving the gun on the dashboard was careless. “Very much so,” Hoffman said. In his opening argument, Bishop said he wasn’t expecting the jury to return a not guilty verdict on Ditz but instead a verdict of guilty of involuntary manslaughter. Aaron, on the other hand, is looking for a murder conviction either first degree or third degree. Aaron showed a video to the jury of Ditz and Seaburn in Seaburn’s car just before 5:00 p.m. on March 1, 2017, going through the ATM machine at the First United National Bank in Clarion. According to Aaron (the video could only be seen by the jury, the attorneys, and the judge), Seaburn was driving the car. It is unknown what the rest of the video showed. During his opening arguments, Aaron told the jury that Seaburn went through the ATM using Ditz’s ATM card to check the balance of Ditz’s account and found that there was only $9.00 left in the account when she had, according to Aaron, lent Ditz the $1,000.00. On Tuesday, Aaron didn’t present any evidence of the $9.00 balance or the $1,000.00 loan. Bishop entered into evidence a bucket list written in both Ditz’s and Seaburn’s handwriting. Bishop presented the list to each jury member to see. During his questioning of Nicewonger, Aaron asked the state police officer if a box of ammunition had been found in the car. Nicewonger also said police found Ditz’s concealed weapons permit on the floor of the car. During opening arguments, Aaron said the state plans to prove that by Ditz picking up a loaded Glock with his finger in the trigger, it indicates malice by showing extreme disregard to the victims’ well-being. “It was a dispute over money, and regret is not a defense for homicide,” said Aaron. Aaron painted a picture of an all-American girl to the jury saying that Seaburn was a daughter who went to Curwensville High School and played sports and was a majorette. Aaron then painted Ditz as the opposite of Seaburn. 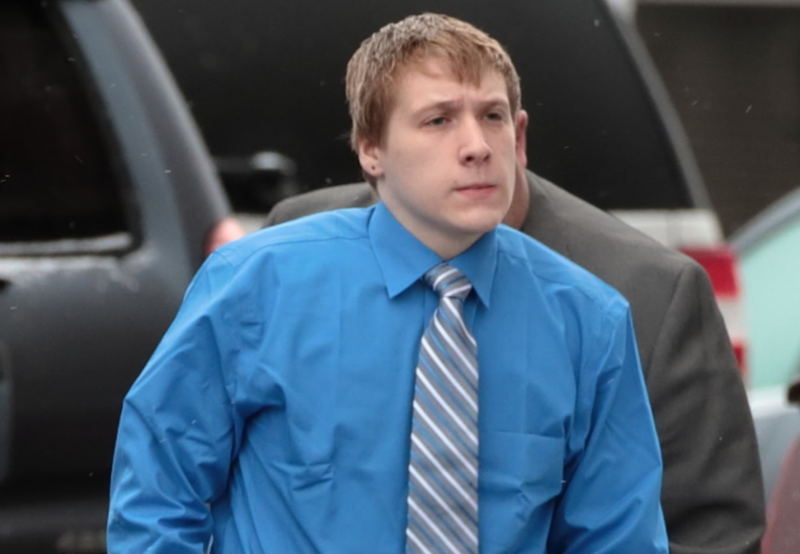 Aaron told the jury that Ditz changed his story three times about how Seaburn was shot. “He said his gun slid off the dashboard, hit the console and shot Seaburn, that it was an accident,” said Aaron. Aaron then said Ditz changed his story when the state police told him his story didn’t make any sense. “His second story was he saw the gun sliding off the dashboard, caught it upside down with his pinky finger in the trigger, and it went off,” Aaron said. Aaron said that story didn’t make sense because of the Glock safety system and that when told that by state police, Ditz gave a third story. Bishop started his opening argument by saying accidents happen. “Their relationship was not perfect, but they loved each other,” Bishop said. Bishop went on to say that on the night of February 28, 2017, Ditz and Seaburn had gone to Pymatuning to do some night fishing, and it started raining, and Seaburn had gone back to her car. Ditz then got out the gun and left it on the dashboard for Seaburn because he had seen two other people in the area that he didn’t know. “The gun fit perfectly on the depression on the left of the dash,” Bishop said. Bishop said that on March 1, the gun was still on the dash and that it slid forward and across the dash, and Ditz caught it with his right hand and moved it next to his right hip. Bishop said Seaburn was facing forward when she was shot because she wasn’t expecting to be shot and that when Seaburn was shot, Ditz immediately called 9-1-1 and took his shirt off to apply pressure to the wound. Bishop said the government doesn’t want the jury to hear about manslaughter, but he said involuntary manslaughter sounds very familiar to what happened. “We are not asking you to find (Ditz) not guilty,” Bishop told the jury during opening arguments. Both the defense and prosecution agree that Ditz shot his girlfriend Katrina Seaburn on March 1, 2017, in Lake Lucy. The question they differ on is: Was the shooting intentional or not? Prior to the opening arguments by the attorneys, Judge James Arner had instructed the jury that there were five ways the case could be decided. According to Arner, Pennsylvania law says that malice must be proven to distinguish murder from manslaughter. Arner told the jury that Murder One consists of the intent to kill and is willful, deliberate and premeditated. He said Murder Three is the wanted, willful disregard of conduct disregarding the serious risk that is being taken. He went on to say that Voluntary Manslaughter can happen in the heat of passion following provocation, while Involuntary Manslaughter is an unintentional killing that is the result of recklessness or criminal negligence.